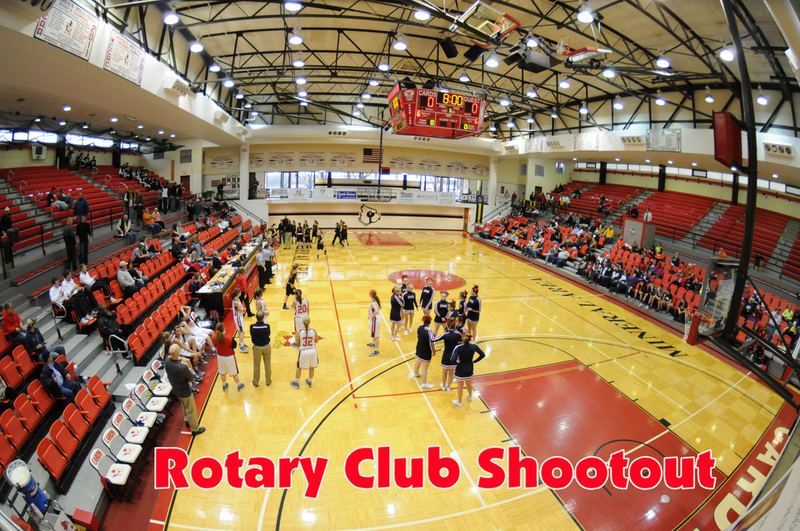 December 13 – The Saint Francois County Rotary Club's 5th annual Shootout event, held today at the Mineral Area College, will be long remembered for reaching several milestones. 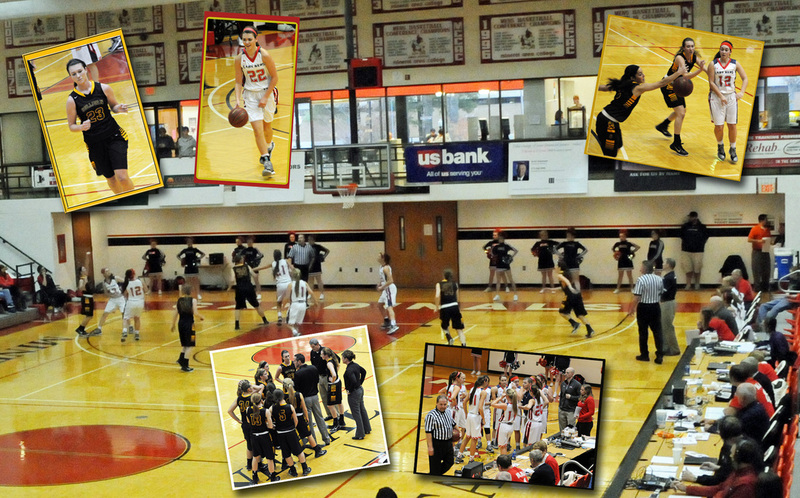 First, during an evening break between the men's and women's basketball games, the first two members of the newly created MAC Athletic Hall of Fame established jointly by the Mineral Area College and the St. Francois County Rotary Club were honored in an impressive ceremony at mid-court. The two honorees were Robert “Bob” Bob Sechrest, Sr. and Hal Loughary. Sechrest coached for six years at Flat River High School before serving the next 24 years as head basketball coach and athletic director at MAC. With a winning record of 465-273, he was inducted in 1990 into the Missouri Sports Hall of Fame. In 2002 the college re-named its field house the Robert E. Sechrest, Sr. Fieldhouse. Over the years he received numerous other honors including being named to the NJCAA Hall of Fame. Hal Loughary organized the MAC baseball program in 1967, remaining as its head coach for the next 20 years. His standout year was in 1981 when his team compiled a 40-10 winning record – a baseball achievement not since surpassed at MAC. In 2004 the MAC baseball field was re-named in his honor. Second, this year's Shootout set a record for income for a Rotary Club fund-raising event with a net of approximately $8,200. All funds earned at various Rotary Club events such as this one are used to support a wide variety of community betterment projects.